Logging is a labor-intensive activity where having the right equipment and tools yields a significant difference in results. 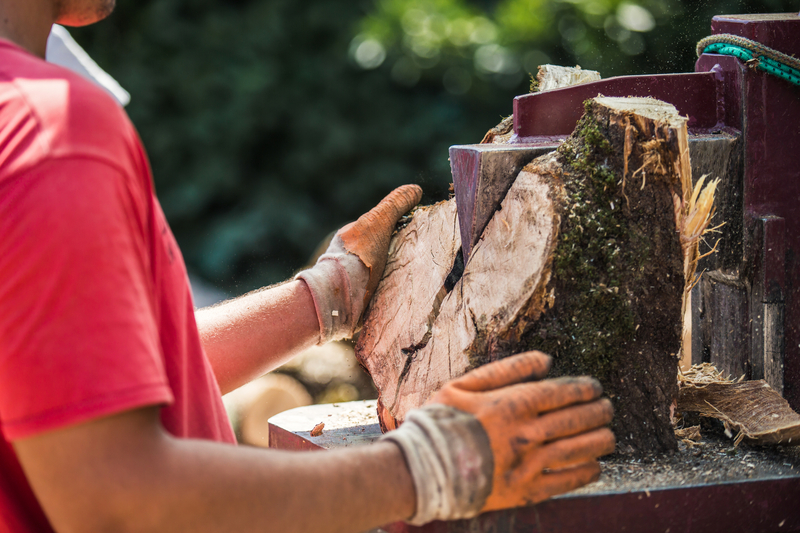 From heavy machinery to hand tools, you must have a wide variety of quality logging supplies to effectively cut down timber in the safest, fastest way possible. Below is a list of logging equipment that you must have before taking to the woods. Among the key logging supplies to have is a chainsaw. Often used as a powerful, speedier alternative to axes because of its motor and durable chains, it is used for notching, cutting, and felling trees. It will also work for bucking logs into specified lengths. When choosing a chainsaw, look for industrial grade types with sharp chain blades and an 18-inch guide bar. Although hand tools like axes and mauls are helpful for small jobs, some companies use specialized machinery for faster and more accurate splitting. These machines can be powered by hydraulics, electricity, or petroleum for automatic operations. Before investing in one, determine your normal capacity, wood type, and log thickness to find the right equipment for your splitting operations. Chainsaws and other cutting tools become dull over time with constant use. Although they can still cut trees and split logs, they are inefficient and dangerous because they may buckle while in use. Avoid accidents and injuries by sharpening the edges. There are different types of files that you can use, such as round and flat, for manual sharpening. Consider investing in a chainsaw chain sharpener, which screws onto a rotary tool. Its grinding wheel sharpens each cutter like a round file will. Logging comes with inherent hazards, so it’s important to wear protective gear while at work. Invest in durable trousers, brightly colored jackets or reflective vests, chainsaw boots, and thick working gloves. Equip yourself with tight-fitting goggles to shield your eyes against debris and sawdust, and wear ear protection for canceling out noise while sawing. When you need high-quality logging supplies and equipment, drop by Wholesale Auto Parts in Morehead, KY. Serving residents and businesses in and around Rowan County for more than 13 years, they carry an impressive selection of hardware, auto parts, and industrial supplies from trusted brands. Call (606) 784-4147 or visit the website for ongoing deals on logging supplies.